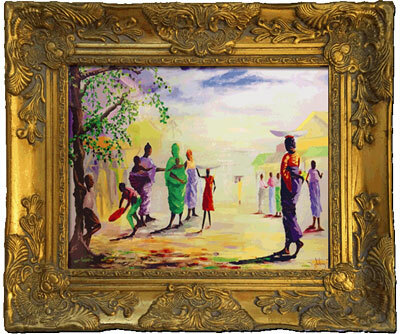 Morning Market : JimiArt!, excite your soul with art! 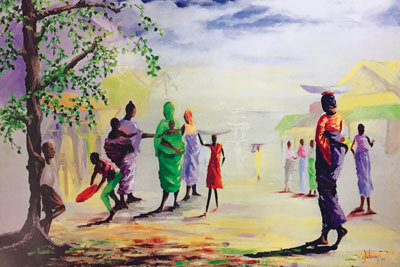 "Morning Market" is an oil painting by Olu-Jimi Adeniyi. The painting is of the artists native land. 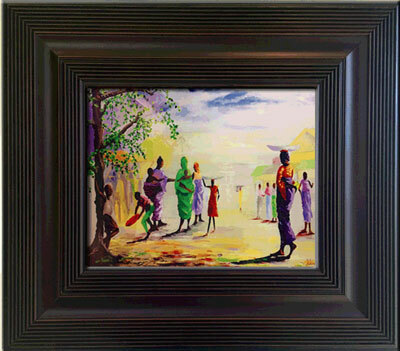 It beautifully captures a moment in time and emphasizes community, culture and relationship.